CIOs are constantly evaluating the latest technologies, solution providers along with the right business models for their organisations. As leaders, CIOs must uncover new ways to approach critical business challenges by making the right decisions to help their organisation be more efficient while advancing with the right partners to produce reliable products. 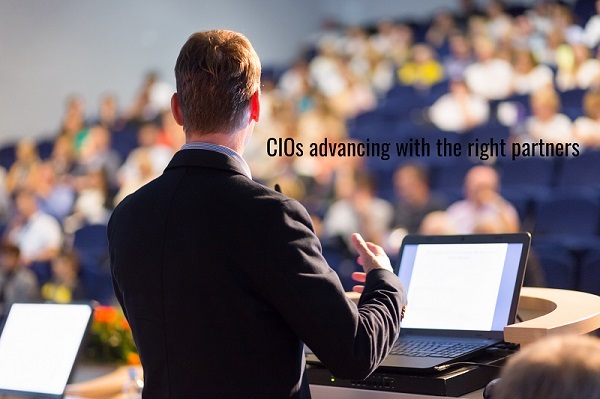 Each year, Australia hosts some of the most prestigious events bringing together visionary leaders and technologies to help CIOs actively engage and find the right partners that will add the most value to their organisation. In February 2018, Adapt hosted their annual Melbourne CIO Edge Experience event focusing on achieving Agility and Digital Transformation. The CIO Edge is all about bringing together Australia’s top technical leaders, so they can collaborate and network and understand some of the best insights and practices that are out their globally and locally. ADAPT works closely with their delegation to understand what their investment priorities and challenges are. ADAPT helps their delegates by going to the market to source some of the best service providers in key areas i.e: Testing. Anthony Saba “Manager, Adapt Advisory Services”, gives a brief overview as to why ADAPT chose Testpoint as their partner to bring to the CIO Edge Experience hosted in Melbourne and now again based on the successful feedback from CIOs, Adapt has chosen Testpoint to attend the CIO Edge Experience coming up in Sydney, September 2018.